Everyone’s eyes are unique. Some people have perfect vision. Others have nearsightedness, farsightedness, astigmatism, or a combination creating less than ideal vision. Using the surgical procedure, LASIK, a surgeon can correct the corneal tissue to improve eyesight. The end result is freedom from glasses or contacts. Postoperative from LASIK surgery is an essential component for optimal results. Always follow the doctor’s guidelines. The procedure allows you to return to normal activities quickly. But you will still need to be careful. One of the best aspects to help aid in the recovery after LASIK surgery is rest. You will experience some sensitivity and minor discomfort. Allowing time to rest and relax will help in speedy the recovery process. Even when sleeping, use the eye shield or eye goggles as instructed to protect your eyes. Your doctor should always follow up the day after LASIK surgery to view the results. When your eyes are feeling a sense of discomfort, the first response is to rub them. You must avoid rubbing your eyes. The small amount of pressure from rubbing your eyes can result in damage to the sensitive areas. Avoid taking a shower or bath until the day after surgery. When you decide to wash your hair, use extreme caution to avoid getting soap in your eyes. Stay away from the hot tub, sauna, and swimming pools for at least 2 weeks. Along with keeping tap water away from your eyes, remember to carefully apply hairspray, face cream, lotions, or after shave. Do not wear any type of makeup for at least a week. You might want to consider replacing your old makeup product to eliminate exposure to bacteria. Shielding your eyes with sunglasses will help in avoiding discomfort from the bright sun. The bright rays might create scarring, so using sunglasses as protection is vital. Wear the sunglasses for at least a week after LASIK surgery. Generally, you will be able to return to work after a couple of days. You will just need to be extremely careful not to put too much strain on your eyes. Returning to driving is permitted as long as you feel comfortable with your eyesight. But ask your doctor’s permission first and remember to use your sunglasses. Getting back to normal activities might take a week. You will want to avoid any type of eye irritations. As you begin to resume your normal routine after a week, you will want to wear goggles to protect your eyes when you sleep. Avoid exercising and strenuous activity. Stay out of the garden and dusty environments. Avoid any type of contact sports for at least a month. One of the best aspects about choosing LASIK surgery is the ease of the procedure. At any time, if you feel extreme discomfort or pain, contacting your healthcare provider is a must. Complications from corrective eye surgery are rare. Patients will generally notice an improvement in their vision the next day. Following your doctor’s instructions will allow you to return to normal activities in a quick manner. When you have been dealing with imperfect vision or vision loss for a long period of time, you start to find the idea of wearing contacts or glasses frustrating. In the past, there might have been no other solution to your struggles other than to continue wearing corrective lenses. Now, surgical options such as LASIK surgery have changed the eye care and vision care game. Before you jump right into a surgical procedure, though, get all of the facts about LASIK surgery and what you can expect. Then, you will be sure that you are making the right decision for you and your eye health. What Exactly Is LASIK Surgery? Many people have heard of LASIK surgery, though very few actually know what the term actually means or how the procedure works. LASIK stands for laser-assisted in situ keratomileusis. In essence, this indicates that it is a form of laser surgery on the cornea of the eye. LASIK is a procedure that involves cutting into the cornea and creating a flap. This flap is folded back and then corneal tissue is removed. The idea behind removing a portion of the cornea is that removing corneal tissue will allow the remaining tissue of the cornea to better reflect light and therefore improve a person’s vision. Who Is a Good Fit for LASIK? Not every person with eye troubles will be a good candidate for LASIK surgery. This is because LASIK surgery is meant to correct vision problems in people with otherwise healthy eyes. As such, a person who has damaged tissue (such as scarring) in their cornea, or other eye diseases or conditions, would not be ideal candidates for LASIK eye surgery. 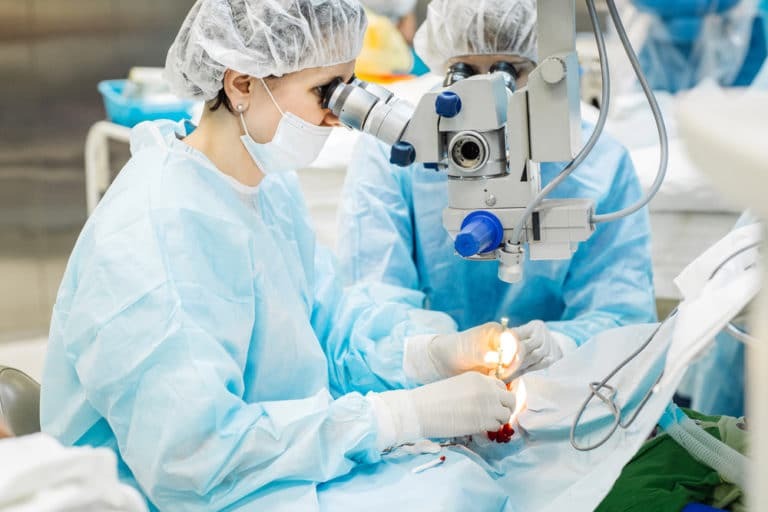 This is because the procedure could cause problems with those other conditions, or a person might not be able to enjoy the full vision benefits of the surgical procedure because of those conditions. Will You Still Need to Wear Corrective Lenses? Many people want to get LASIK surgery in order to avoid wearing their corrective lenses completely. While this is a possible result of the LASIK surgery procedure, it is not a guaranteed outcome. LASIK surgery will improve a person’s vision (when the procedure is successful), and they will likely enjoy far better vision even without their glasses or contacts. They could, however, still find that they need those corrective lenses occasionally for certain activities. Another possibility is that they will still need corrective lenses as frequently as before, but with a lesser degree of correction. Now that you know more about the LASIK eye surgery procedure, you can decide for yourself if this surgery is right for you. Once you make the decision, you can contact your eye surgeon and get the process started. LASIK (laser-assisted in situ keratomileusis) is a type of laser eye surgery used to improve an individual’s vision. It works by permanently changing the shape of the cornea, the clear covering on the front of the eye. Impaired vision in an individual occurs when light rays aren’t focused clearly on the retina—owing to an imperfectly-shaped eyeball, cornea, or lens—resulting in blurry images and the need for eyeglasses or contact lenses. LASIK corrects this impairment by using an ultraviolet laser to reshape the cornea for improved focusing. During the LASIK procedure, an ultra-fast femtosecond laser is used to create a thin flap in the cornea. This flap provides access for the laser to target the corneal tissue underneath, removing precisely enough tissue to achieve the desired results. Once the surgery is completed, the flap falls back over the eye and naturally grows back in its original position. The procedure, which is performed on an outpatient basis, takes no longer than about 15 minutes for each eye. The surgery does come with risks, however, some of which include corneal infection, dry eyes, and light sensitivity. Nevertheless, the surgery has proved very popular since its introduction and surveys of LASIK find rates of patient satisfaction between 92 and 98 percent. Anyone considering LASIK surgery will undergo an eye examination before the procedure to ensure that their eyes are healthy. Additional tests are carried out to measure the curve and thickness of the cornea, the size and position of the pupils, and the shape of the eyes. A patient needs to give consent to the procedure, fully acknowledging the risks and possible complications involved. The patient is awake during the entire procedure. The only necessary anesthetic is a solution to numb the surface of the eye. The surgeon uses a an ultra-fast femtosecond laser to create a flap, facilitating access to the underlying corneal tissue, which is then reshaped with a laser. The corneal tissue is not cut away completely, but left attached by a small “hinge” of tissue. Once the surgery has been completed, the flap of corneal tissue falls back into place, protecting the eye until it has fully healed. Surgical stitches aren’t necessary to secure the flap. Patients may feel a little discomfort immediately following the procedure. It’s important, however, that a patient refrains from rubbing his or her eyes to avoid dislodging the corneal flap. While a patient might experience blurriness immediately after the procedure, vision should start to improve the following day. Who is Eligible for LASIK Surgery? 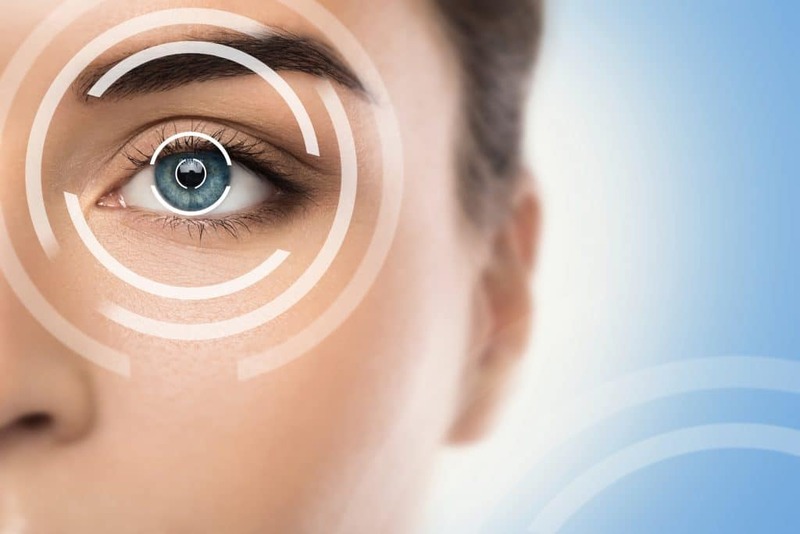 According to the US Food and Drug Administration’s guidelines, suitable candidates for LASIK surgery include healthy individuals who are at least 18 years of age and those with a stable eyesight prescription. Patients with health conditions such as diabetes, lupus, and glaucoma may not be suitable for this type of eye surgery and should discuss the matter with their physician. The pros and cons of LASIK eye surgery should always be weighed by anyone considering the procedure. Expectations should be questioned and patients should have a clear understanding of what is involved, not only in the procedure itself, but also in the likely results.